Vinyl can be used to achieve colors not found in Acrylic. Vinyl can also be used to incorporate graphic and photo elements into your sign, such as a coffee cup, your logo, etc. Return can be bent to any shape and LEDs fit anywhere so let us customize something totally unique for you. Our standard vinyl is 3M translucent and the charts below show the colors they currently offer. 3M transluscents have the longest life and warranty and they hold extremely well in both cold and hot weather extremes. 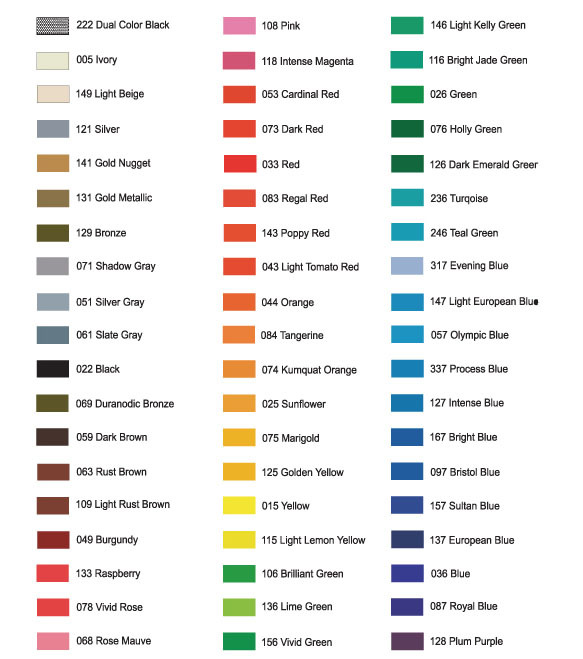 If the color of your choice is unavailable below, don't worry, many other fine brands offer unique colors and we can usually find any PMS color you need by looking at other brands of vinyl.